Aloo Paratha is one of my favorite and the most popular North Indian Breakfast dish. Its simple and tastes great. Its Perfect for kids lunch boxes too. 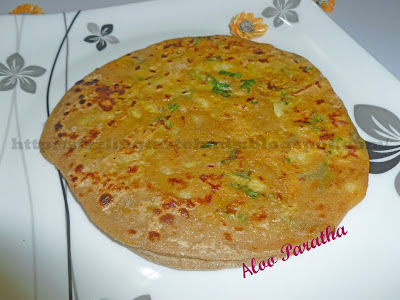 The best combination for this Aloo Paratha is a cup of yoghurt and some spicy n tangy pickles. 1. Prepare the dough by kneading wheat flour, salt and enough water. Make balls slightly bigger than lemon size. Keep aside. 2. Heat a tsp of oil in a kadai and add chopped onions. Fry it till it becomes translucent. 3. 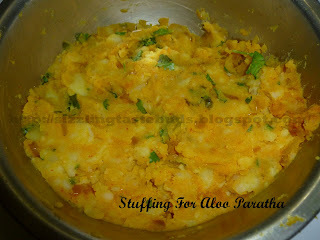 Add Haldi, red chilli powder and Salt. Mix well. 4. Pour little water and chopped coriander leaves. Mix well and add boiled and mashed potatoes. Mix again and remove it from stove and allow the mixture to get cooled down. 5. 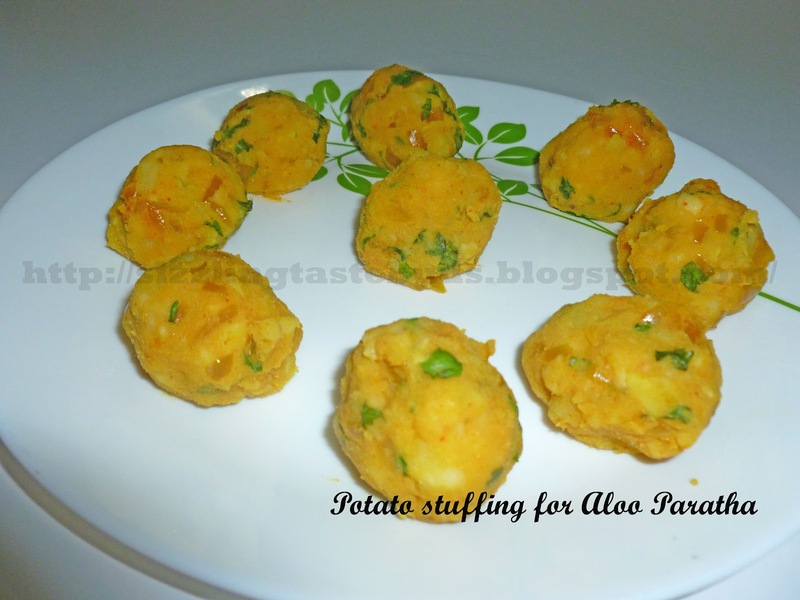 Make round lemon sized balls from the potato mixture and keep aside. 6. Take a wheat flour dough ball and dust it with little wheat flour and roll it with a roller into a small chapati. 7. Place a potato ball in between and cover it with the just flattened wheat dough. Make a round dumplings and dust it again. Carefully flatten it with the roller pin into a round shape like chapati. 8. Place it on the hot tava and cook it on both sides. Grease the hot paratha's with butter and serve hot. Tastes best with curd and pickle. wow delicious potato stuffing. thanks for posting such wonderful "indian recipes"